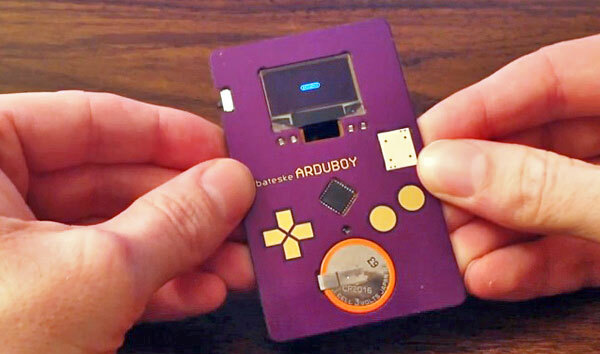 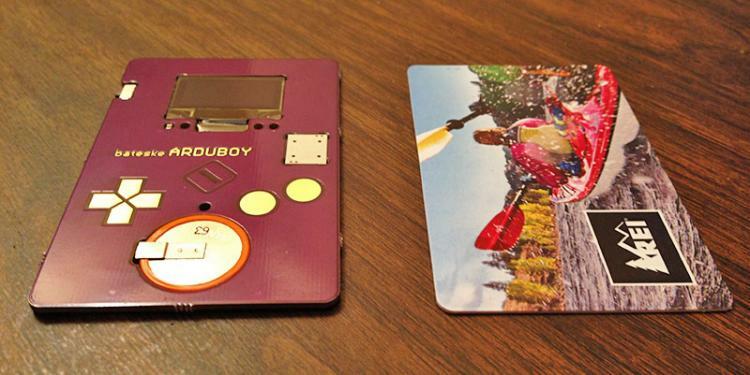 Similar to a tiny Game Boy, the Arduboy is a gaming device that's the size of a credit card that allows you to play tons of free classic style games similar to the likes of: Oregon Trail, Space Invaders, Tetris, Asteroids, Block Breaker, as well as a whole lot more (although used with different names to protect trademarks). 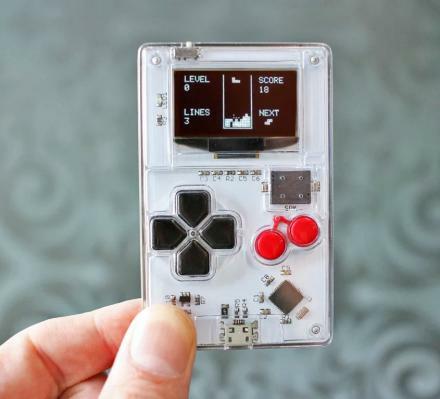 Arduboy uses an open platform that allows anyone to play games, create a game, or a share a game, plus it offers a great way to learn to program using it's open source Arduino software that allows you to make games, make music using it's 8-bit synthesizer, use it as a remote control for a drone, or really use it to do anything using a USB connection. 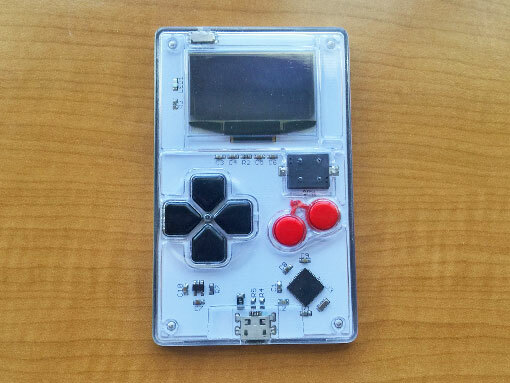 Every game that is published for the Arduboy Arcade is fully free, open source, and even available to be downloaded and edit if you'd like to mod it, make changes, or just fiddle around with it for fun. The Arduboy is made from durable metal and polycarbonate construction, uses an OLED display, has 6 soft touch tactile buttons, a two channel speaker, is rechargeable and offers 8+ hours of play on a fully charged battery. 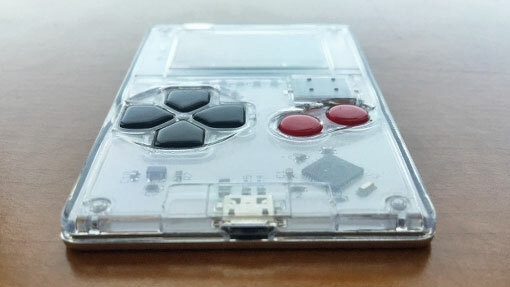 Arduboy is ran a successful funding phase on Kickstarter back in 2015, but are still taking pre-orders for the device on their website, which they say are shipping soon!